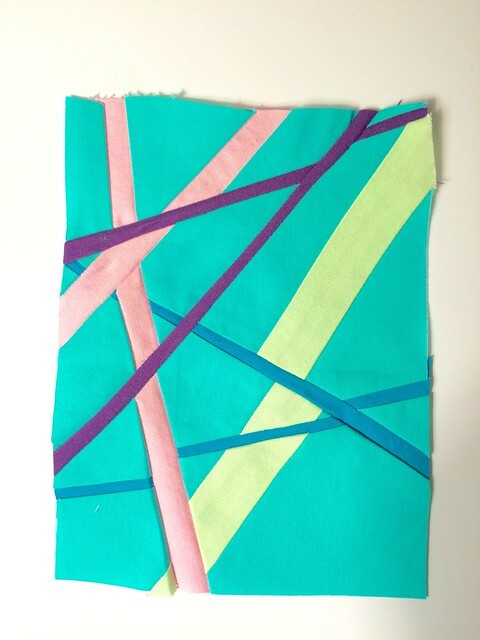 Today is my stop on the blog hop for You Can Quilt! Building Skills for Beginners. I have been waiting for this book for a number of years, ever since Leila ran the We Can Do It! Skill Builder Sampler Quilt Along on her blog which began in June 2011. I learned a lot from Leila in that QAL. And now she has put it all into a beautiful book. I have to say that I don't think that this book is only for beginners. 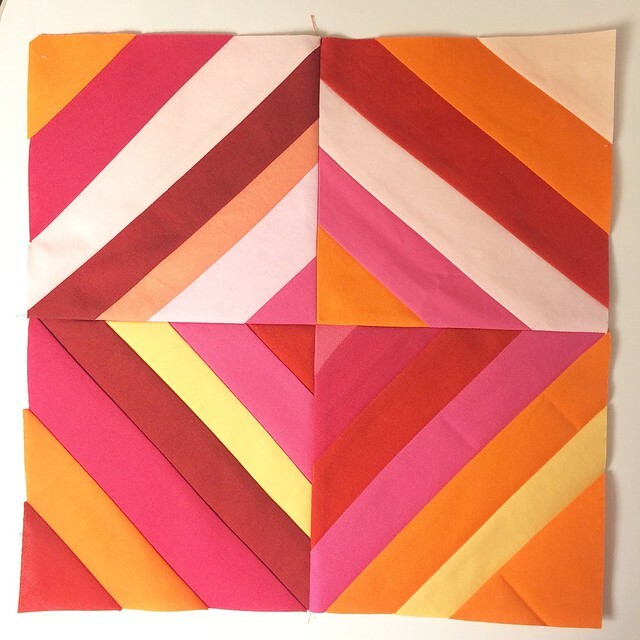 It has instructions, tips, photos, and different levels of difficulty of blocks for pretty much every quilting technique you might want to try from regular piecing to paper piecing, from appliqué to improv. 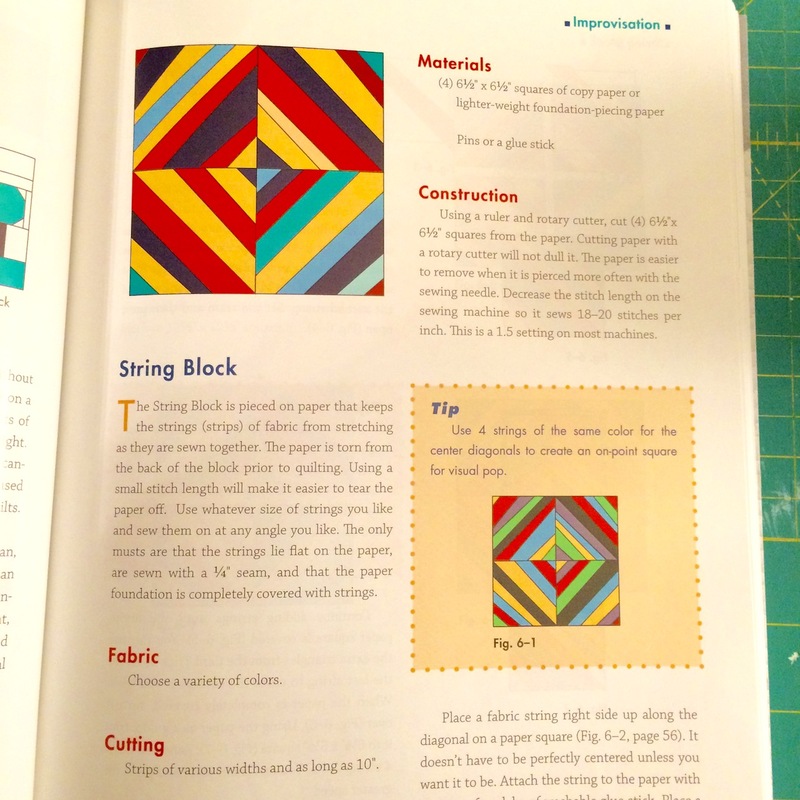 It is a fantastic resource for quilters and would make a great teaching or retreat source book too. 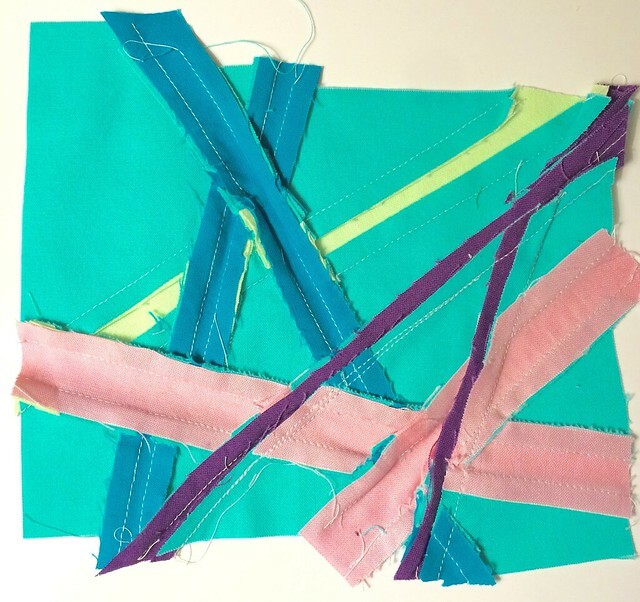 I'm sure you are not surprised to learn that I decided to try the improv blocks and I started with the String block. You can see that the book is full of tips, variations, and great instructions too. I decided that since I had some strips left over, to continue on to make the improv Asterisk block too. I have to say that in past years, it would have bothered me that the dark pink line does not meet up but now I love the slight fracturing of the line that is happening here. I have learned to embrace improv more all the time. The book goes on to suggest one can make the asterisk "your own". Well I had to try that too. First I will share the back - a total mess - but then no one sees the back. Here is my last block, about 8" by 6", not that big. I'm imagining it as a 50" square quilt top - I have to try that one day soon. 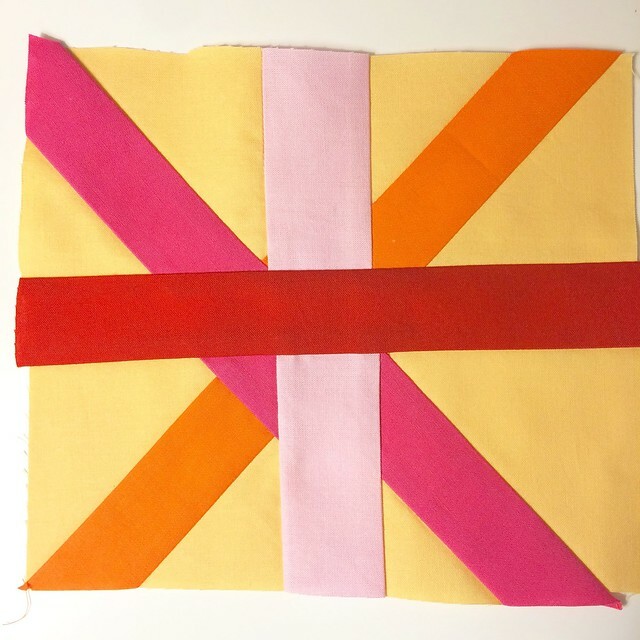 I'm going to add these three blocks to my Bee Sewcial improv sampler maximalist quilt too. As I said, in my view, this book is not just for beginners, it is a great resource for everyone, and I totally recommend it. 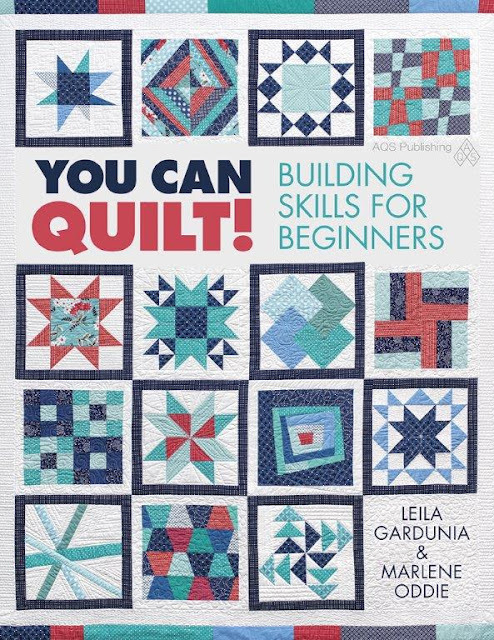 You can get a signed copy from Leila at her shop, or a signed coy from Marlene at her blog or from AQS here or Amazon here, and I bet you will find it on a handy shelf at your local quilt shop too. For the blog hop, Leila is hosting a give away for a copy of the book and fabrics from Moda on her blog - Sewn by Leila, so be sure to head over to enter. Nov. 18th - Leanne (shecanquilt.ca) That's me. As always Leanne, an interesting post. I love your last block where you made the asterisk your own...and I love that you showed the back. The book looks quite intresting. Sounds like a great book!!!! Loving your adventures w/Improv LeAnne! I had 5 out takes on the astetisk and now used them all for their own runner....assembly tips at skillbuildersampler.com. Making it your own truly is. what it is about. Love the brights!! Thanks for sharing. Would you tell me the name of the pattern on the pink and black quilt that you made? I love that quilt and would like to get the pattern, Thanks for your time. I have to admit that I'm kind of reassured by the back of that block. My pieced backs often look like that and I thought I was the only one. Your first block is completely stunning. It's made me hungry for sweets!